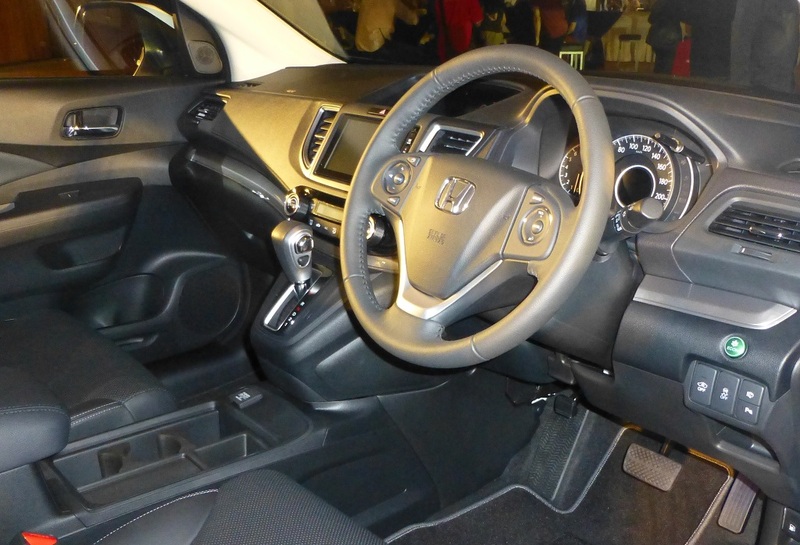 Honda Malaysia Airbag Recall - GET IT DONE NOW ! As we start off a brand new year, I would like to bring attention to a topic which I feel is extremely important to Honda owners. This is the on-going Honda activity related to the Takata airbag recall. Unfortunately until now, after months of intensive campaigning, less than 80% of affected owners have gotten their airbags replaced under the recall ! The latest Honda Malaysia press release related to the Takata airbag recall was issued just a few days before the end of 2016. This press release was sent on the last week of 2016, eventhough Honda Malaysia practises a company-wide shut-down on the last week of each. This by itself shows the severity of the recall and how great an importance Honda Malaysia has placed on it. Unfortunately, incidents related to the Takata airbag defect have happened. There has even been at least one confirmed fatality which investigation have pointed the cause as being the defective Takata airbags. These incidents have received extensive coverage in the media. The latest Honda Malaysia press release, dated 30th December 2016, can be read at our Honda Fan page. Honda owners are strongly encouraged to read the release and note the current arrangements Honda Malaysia has prepared to enable owners to get their recalls done. I urge not only those owners who still have not gotten their recall done to read the press release, but also those who have already gotten their recall done to also read it. Even if you have already gotten your Takata airbag module replaced, please read the latest press release, note the information especially the locations at which the recall can be requested and done, and then please think about whether you have any friends or even acquaintances who drives a Honda and who might potentially be affected by the recall but still have not gotten it done. You owe it to your friends to contact them and strongly urge them to get their recall done if they still have not done so. And you should provide them the info they might need such as the locations for getting the recall done. Or simply point them to the Honda Malaysia press release on our Honda-Fan page for them to get the info themselves. Perhaps it's useful to provide some basic technical background on the Takata airbag recall. SRS (Supplementary Restraint System, name given because it supplements the primary safety mechanism for the passengers which are the seatbelts), or simply “Airbags” is now very common so I won’t cover its function. Honda Malaysia equips all Honda cars sold here in Malaysia with SRS and ABS as standard mandatory features. Honda has been partners with Takata for many decades. The Takata NSX Super-GT race cars are well known all over the world and have raced in that series with great success. Takata’s primary product are safety belts and airbags. For decades Honda sources the bulk of their SRS modules from Takata. By design, an airbag module relies on an explosion to inflate the airbag. In a collision, the timeframes involved requires the airbag to be deployed within 0.03 second. An explosion is the most efficient way to inflate the airbag fast enough to protect the occupants in the event of a collision. An explosion requires explosive chemicals and the airbag inflator is the component which contains this chemical and which initiates the explosion. According to research by the United States’ National Highway Traffic Safety Administration (NHTSA), the root cause of the problem are those airbags that use inflators with ammonium nitrate-based propellent (explosive chemical) but without a chemical drying agent. In environments with high moisture, high temperatures, (for e.g. in Malaysia), the airbags with this defect can improperly inflate and send shrapnel into the occupant. In the U.S. alone, there have been 11 cases of fatalities reported related to this defect, nine of them in Honda/Acura cars. Injuries reported have exceeded 180 cases. So it is extremely critical to get a defective airbag module replaced. One common issue Honda owners had with regards to the Takata airbag recall is finding out if their cars are involved in the recall. Note that driving a Honda does not automatically means your car’s airbags are faulty and is involved in the recall. Nevertheless, the chances are rather high. Initially Honda sent out letters and supplement it with advertisements urging owners to either call the Honda Malaysia hotline or any authorized Honda dealer/service centre to check if their car needs to get the recall done. The route of the good old “snail mail” faces similar problems we are now familiar with when sending our emails or messaging via phones – recipient no longer valid. Note that older Hondas are more likely to be affected by the problem. And older Hondas are more likely to have changed owners. So many owners simply did not receive their letters (e.g. I received mine for my old Honda Jazz VTEC but I have already traded it in a few years ago. What I did was to inform the used car dealer who took my car and requested them to contact the person they sold the car to). Honda Malaysia’s owner database had lots of outdated data as owners have shifted house or have sold their cars, and so forth. For owners who still do not know for sure if their Honda is affected by the recall, Honda Malaysia have provided a service to check online, at their official website at http://www.honda.com.my/. To check if your car is involved in the recall, you need to provide your car’s chassis number (also called the VIN or Vehicle Identification Number). Some owners do not know what a “chassis number” is and obviously even less of an idea how and where to get it. To assist in this, we have written up a short article on how to use the Honda Malaysia recall page, including explanations of what the chassis number is and where to get it. The link to that article is available by clicking here. So owners who are still unsure of how to check if your car is involved in the recall, you can follow the procedure in our article to check if your Honda is affected by any recall (not just the Takata airbag recall, the Honda Malaysia page covers all recalls). And of course, to quickly get the recall done if so affected. There have also been some other concerns from Honda owners when getting their recall done. Initially owners have complained about shortage of stock of replacement airbags. A number of owners I talked to told me the dealer/service centre would tell them to wait as they don’t have enough stock of replacement airbags to get the recall done. Unfortunately when they asked “when”, they were told by the service centre that they don’t know when stock will be available. This situation has since been rectified as towards the end of last year, Honda Malaysia have confirmed that stock of driver’s side replacement airbag modules is now 100% so no owners will have to wait for stock to get their recall done. Another issue I know of is regarding the (front) passenger side airbag. Honda fits all their cars with at least ‘dual-SRS’ meaning airbags for both driver and front passenger unlike some other manufacturers. The recall involves both the driver and passenger airbags. There have been cases where only the driver’s side airbag recall was done and owners told to wait for stocks of the passenger side airbag to become available in order to get it done. Again, when pressed for “when”, answers can be “don’t know”. Regarding this, the latest update from Honda Malaysia is that availability of stock for the passenger side airbag is now at 70% and they are constantly improving on the situation with the target to similarly achieve 100% stock availability in the very near future. Finally, in their latest effort to track down the remaining 29% of Honda owners who still have not gotten their recall done, Honda Malaysia has now taken the proactive route and will be working together with JPJ to try to obtain details of current owners. Once done, they will reportedly be going door to door to meet the owners themselves to get the recall done. So if you still have not gotten your recall done, don’t be surprised if Honda Malaysia comes knocking on your front door. Actually if you are reading this article, it means you are now aware of the most current situation. So if you have not gotten the recall done or you know of someone in that situation, it would not be wise to simply wait for Honda Malaysia to come to you. Better be safe than be sorry so it is strongly advised to go to the various facilities that Honda Malaysia have prepared to enable the recall to be done as quick as possible. Again, details are available in the Honda Malaysia press release, you can read it here.